I always tell my students to use as many tools as you can to practice Portuguese. Watch movies, watch novelas, watch videos on YouTube, read online newspapers, blogs, read stuff out loud and of course, listen to music. Brazilian music is famous for its different rhythms. You can find slow songs such as chorinho ou bossa nova; and fast ones like frevo. Find a song and the correspondent lyrics and sing along even if you don’t understand the meaning. Videos – In the beginning, do not worry about understanding the whole content. Start with easy videos and gradually move to more difficult ones. Repeat words that you already know because it helps to memorize more vocabulary. Basically, get your ears used to the language and recognize words you are learning. 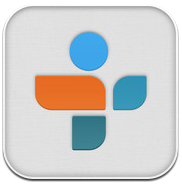 There is an App on iTunes that offers lots of Brazilian radio stations. It’s called TuneIn Radio. This entry was posted in português, Portuguese, portuguese classes, portuguese tutor and tagged links, tips. Bookmark the permalink.